By CAREEREALISM-Approved Expert, Andy Robinson Most senior executives have never faced the prospect of prolonged unemployment. Add to that a hyper-competitive job market and the realities of not generating income for the foreseeable future, and we all tend to get overwhelmed. But if you look at it from a different perspective, this just might be one of the most opportune times in your life to grow as a person and as a professional. For perhaps the first time since college you have an opportunity to focus your energy towards self improvement, rather than pouring your sweat and tears to achieve somebody else's goals. If you know where to focus that energy, you might just come out of this transition more empowered and self-aware than you’ve been in a long time. And if you’ve ever conducted a job interview, you know there are few things more attractive than a viable candidate who exudes confidence and has a strong sense of purpose (an excerpt from the e-book, "I'm In Transition, Now What?") 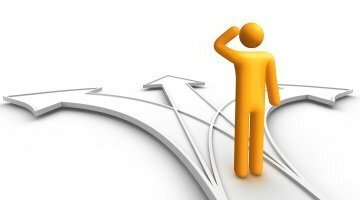 So....you're in transition, now what? Wouldn't it be nice to have a concise, easy-to-read guide that could get you started off on the right foot and maybe even shorten your path back to steady income? Good news! Such a guide has been commissioned and is available for FREE as an e-book entitled "I'm In Transition, Now What? 12 Ways to Shorten Your Unemployment by 90 Days." This e-book is comprised of 12 powerful ways to shorten your transition by 90 days. It's chock-full of useful tips on networking, resume writing, interviewing, social media, and much more from career experts across the country. The e-book will be a living document, meaning new chapters will be added based on reader feedback. We hope you'll take some time to read the e-book and share your feedback. We also highly recommend you send this e-book to your professional network, or anybody that might need a fresh career perspective, as a way to spread the wealth. They'll thank you for it! You can access the e-book by simply putting your e-mail in here: PLEASE NOTE: If you are reading this in an e-mail, you'll need to click through to our website to access the sign-up form! Email Marketing You Can Trust We'll send you an e-mail with a link to the book. And we'll also sign you up for CAREEREALISM's weekly newsletter which you can unsubscribe from at any time. No SPAM, just valuable advice! Andy Robinson is an Executive Career Coach, Career Success Radio Show Host, Personal Branding Strategist, Consultant, Speaker. I help my clients love what they do for a living and achieve lasting career success. I am a 15 year executive coaching veteran and work with coaching clients nationwide. Previous experience includes over 10 years with PricewaterhouseCoopers as a consulting director and human resources specialist. Connect with me on LinkedIn: www.AndyOnLinkedIn.com, Twitter: www.AndyOnTwitter.com and visit my Blog Site at: www.AndyRobinsonCoach.com.